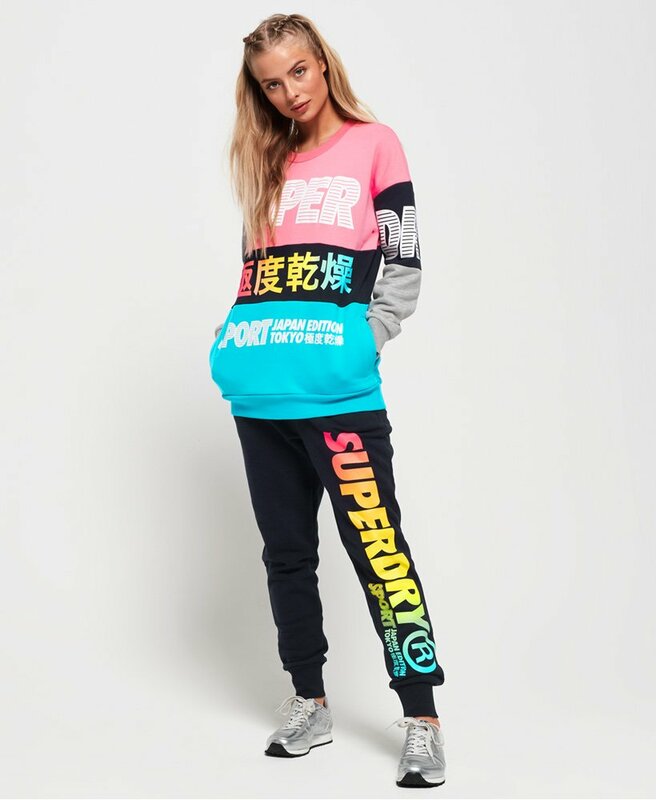 Superdry women's Japan Edition joggers. These joggers have been designed with a super soft lining and four-way stretch technology for comfort and allowing dynamic movement. These joggers feature an elasticated drawstring waistband, two front pockets and ribbed cuffs. Finished with a large Superdry logo graphic down one leg and a Japanese inspired graphic on the back of the leg.